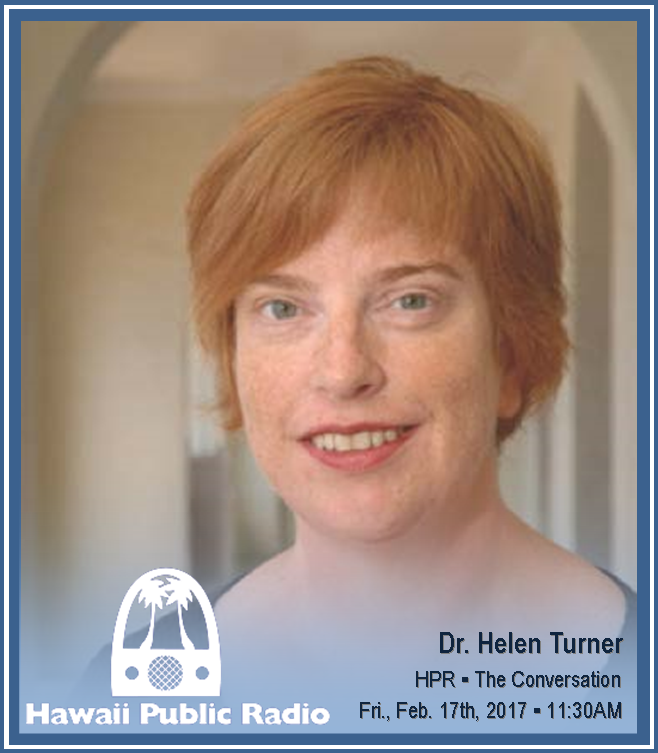 Interested in learning a bit more about Dr. Helen Turner, special guest speaker and #STEM panelist moderator at the upcoming Science Symposium hosted by Sacred Hearts Academy. Dr. Helen Turner is Dean of Natural Sciences and Mathematics and a tenured biology Professor at Chaminade University. She is a respected immunologist, and holds affiliate professorship and graduate faculty appointments at the John A. Burns School of Medicine at the University of Hawaii. She received her PhD in 1998 from the Imperial Cancer Research Fund, University of London, and was a Wellcome Trust International Prize post-doctoral fellow at Harvard Medical School from 1998-2000. From 2000-2007 she was Associate Director of Research at The Queen’s Medical Center in Hawaii, receiving her first major NIH research grant at within 4 years of her PhD. Dr. Turner has published over 30 research papers on the molecular logic of cellular communication in the immune system, and secured over $30M in grants and program awards during her tenure in Hawaii. Her research is currently funded by the National Institutes of Health, the National Science Foundation and the U.S. Air Force. She engages in research, capacity building, and grant review for diverse state and Federal agencies and is a thought leader in Hawaii’s statewide science capacity building efforts and in efforts to broaden participation in #STEM careers. She was honored as a member of the Pacific Business News 40 Under 40 class of 2009 and is a founding fellow of the academic Executive Leadership Academy at UC Berkeley. Dr. Turner is also a majority owner of TwoFox Concepts, LLC, a science and education consulting company. Tune in to Hawaii Public Radio's The Conversation on Friday, February 17th at 11:30AM to learn more!